For the pros, this weekend represents the end of the 2017 indoor track and field season (the collegians wrap up a week later at NCAA Indoors). With no World Indoor Championships to qualify for, the fields aren’t quite as loaded as 2016, but there will be plenty of star power in Albuquerque: Cas Loxsom, Donavan Brazier, Clayton Murphy, Robby Andrews, Ben Blankenship, Evan Jager, Paul Chelimo, Ajee Wilson, Charlene Lipsey, Shelby Houlihan, and Colleen Quigley are among the big names taking part in the mid-distance and distance events. We give you the need-to-know details about U.S. Indoors below before taking a closer look at the 600’s below. Curtis Beach 1:16.61 1:16.61 4th at Worlds last year – in the heptathlon. Jacob Burton N/A 1:48.82 (800) 1:47.82 indoors for FSU last year. Redshirting this winter. Nicholas Thornton 1:18.91 1:18.91 35-year-old ran 1:48.01 in 2004. The Brooks Beasts’ Cas Loxsom is clearly the man to beat here. Even if this were an 800, he’d still be favored after running a world-leading 1:46.13 in Birmingham two weeks ago, but the shorter the distance, the more that helps Loxsom, who has some of the best 200 speed of any U.S. middle distance runner. The 600 may be Loxsom’s sweet spot. 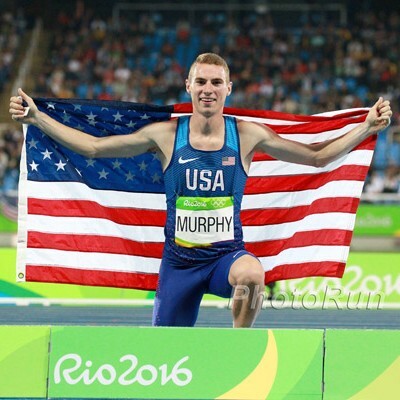 Two years ago, he won this event at USAs in American-record time and he’s only improved since then, setting a world indoor best* of 1:14.91 in January. 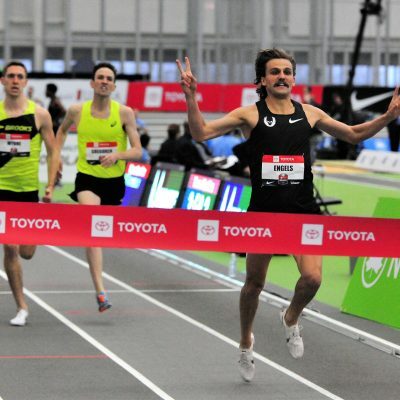 Loxsom’s only loss this year came at Millrose in the 1000 meters, but we’re not worried about that. First, the guy that beat Loxsom (Brannon Kidder) isn’t running the 600 at USAs. Second, Loxsom is much better at the 600 than he is in the 1000. Third, Loxsom, like most of the guys in that race, seemed confused about how best to run a 1000-meter race; he actually did well to close for second. 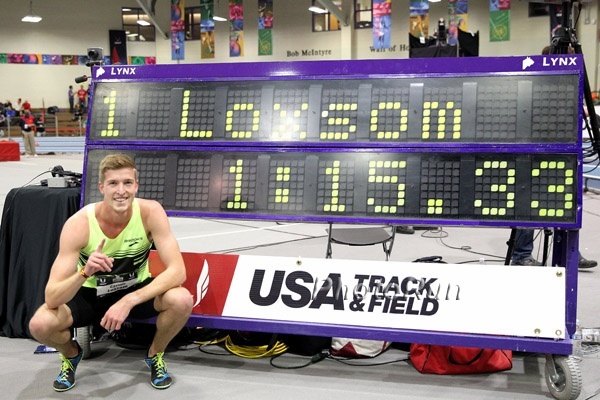 We feel very confident in making Loxsom the favorite at USAs, but he’s not a lock. Erik Sowinski held the American record of 1:15.61 until Loxsom broke it in 2015, and he’s proven himself to be a savvy indoor racer: over the last five years, he’s won two U.S. titles (2013 & 2014) and a World Indoor bronze (2016), all at 800 meters. All of Sowinski’s races this year have been solid (he’s run 1:16 twice for 600 and broken 1:47 in all four of his 800’s), but Loxsom beat him handily over 800 in Birmingham, and Loxsom’s advantage figures to be even bigger in a 600. On pure talent, Donavan Brazier has to be mentioned as well. He’s got the fastest 800 PR in the field by a mile (1:43.55) and he trains like a 400/800 guy, which should help him here. Though he was only fourth at Millrose in the 1k, we’re inclined to overlook that — as we explained in the Loxsom section, that was an odd distance for most of the guys in the field. 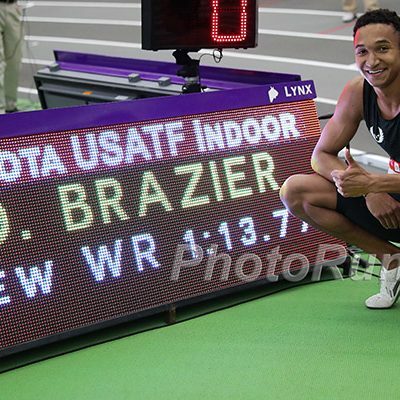 Brazier has won his other two races (1:16.57 600, 1:47.17 800), but neither time was super impressive — certainly nothing along the lines of his ridiculous 1:45.93 last year indoors. But it would be foolish to overlook Brazier: remember, he had a so-so outdoor season last year, only taking third at SECs, before exploding at NCAAs. Chris Giesting has the #2 SB in the field at 1:16.10. He comes from a 400 background but has been converted to an 800 guy since joining NJ*NY Track Club. He’s excelled indoors in the past — he was 5th at USA Indoors in 400 last year and also ran on the U.S.’s winning 4×400 squad at World Indoors — so he could be a threat here. Je’von Hutchison (3rd at USAs in the 600 in ’15) and Shaquille Walker (whose SB of 1:16.11 is just .01 behind Giesting’s) should also be in the mix. LRC prediction: The 600 is so short that it only takes one mistake to lose a race. And on a 200-meter track, where positioning is key, it’s not hard to make a mistake. But Loxsom has been so good this year that if he gets to the lead by 200, we don’t think he loses. Loxsom FTW. If Loxsom does lose, we think it will be because Brazier shows up in form – there is no doubt Brazier is the biggest talent in the field. Who will win the men's 600 at 2017 USA Indoors? Ce’Aira Brown 1:29.78 1:29.78 Former Hampton runner has run 2:04 800 this year. Jessica Teal 1:31.50 1:31.50 GBTC runner has run 2:07.17 pb this year. Tiana Thomas 1:32.30 1:32.30 NAIA multi athlete was 2016 NAIA 400h champ. Madeleine Outman 1:32.37 1:32.37 Another multi athlete. Alaine Tate 1:32.00 1:32.56 Ex-Miami athlete ran 2:05.20 in 2013. Just look at the seed times and you’ll see that this is a two-horse race between indoor American 800 record-holder Ajee Wilson and NCAA outdoor 400 record holder Courtney Okolo. It’s a great matchup: a strong 800 runner against a quick 400 runner over an intermediate distance. Both women have already broken records this indoor season. In fact, they accomplished it on the same track within the span of half an hour at the Millrose Games, Okolo running 1:07.34 to set lower the U.S. indoor 500 record shortly before Wilson cranked out a huge indoor pb of 1:58.27 to erase Nicole Teter‘s 800 meter mark from the books. Both have run the 600 already this season, and those races produced the second- (1:24.48, Wilson) and third-fastest (1:25.21, Okolo) indoor 600’s ever by an American woman (only Alysia Montaño, at 1:23.59, has run faster). With Wilson and Okolo squaring off for the first time ever in Albuquerque and no one else in the field to realistically threaten them, Montaño’s American record is certainly in jeopardy. And if that’s on the table, we may as well mention that the world indoor best, 1:23.44 by Russia’s Olga Kotlyarova, is only .15 faster. Though Okolo was primarily a 400 runner in college at Texas (where she set the NCAA outdoor record of 49.71 last year), she does have some experience stepping up in distance as she won the 600 yards at Big 12s in 2015. The level of competition is much higher this time, but Okolo is prepared for it after racing well at both 500 and 600 meters this year. Wilson faceplanted — literally — the last time she ran the 600 at USAs, but she’s got plenty of experience on the 200m track (three U.S. Indoor titles) and is in way better shape than she was last year when she won the U.S. Indoor title and World Indoor silver at 800m. 1:58.27 is simply exceptional for a woman indoors. One interesting fact: Okolo, who graduated from Texas last year, and Wilson are nearly the same age. Okolo is 54 days older than Wilson. Both are still only 22 (Wilson turns 23 in May while Okolo turns 23 on March 15). Third place is more open, but if we had to pick, we’d go with NJ*NY TC’s Cecilia Barowski, who is excelling her first year as a pro after finishing 6th (indoors) and 5th (outdoors) at NCAAs last year for Princeton. Barowski has run over a second faster than anyone not named Wilson/Okolo and ran an impressive 2:01.52 at Millrose. Barowski is a name you might want to keep track of. Check out the names just ahead and behind her on the all-time Ivy League Indoor list for 800m. 2:02.77, Meredith Rainey (Harvard, 1990) – 2 time Olympian, 1:57 pb. 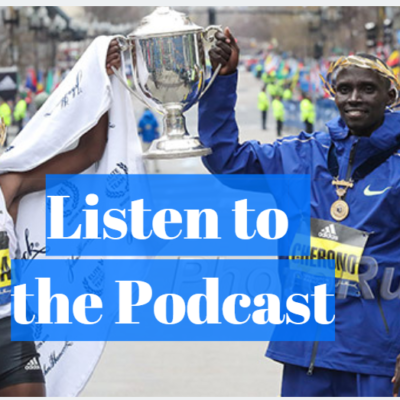 2:04.42, Morgan Uceny (Cornell, 2007) – Former World #1 at 1500. Olympian. 2:04.44, Cecilia Barowski (Princeton, 2016) – ?? 2:04.72, Kate Grace (Yale, 2009) – 2016 Olympian. LRC prediction: This one is really tough to call and could come down to who is able to get the lead early as it’s really hard to pass in an indoor 600. And Okolo, with her 400 background, has the faster start. 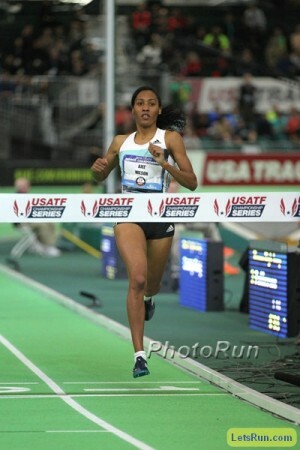 But Wilson has run faster than Okolo at 600 this year, and she has a track record of success at USA Indoors. 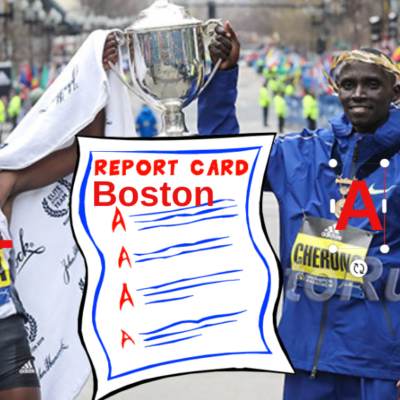 Plus, as an 800 runner, we think she’ll handle two 600’s in 24 hours better than Okolo. If it was a one off race or if we knew that Okolo would go 100% for broke, we’d pick her. Wilson FTW. Who will win the women's 600 at 2017 USA Indoors?